An upholstered seat and back cushion accented with nailhead trim combines with your option of sculpted turned legs or tapered square legs for a unique design. 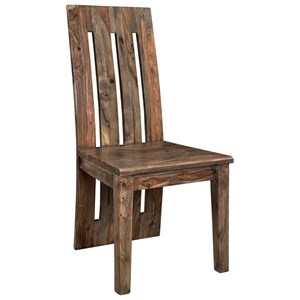 This chair style is available with or without arms. Choose from a multitude of upholstery options to create a comfortable seat. Available in 12 one-of-a-kind rustic finishes. 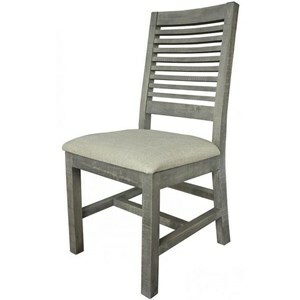 The Champlain - Custom Dining Customizable Upholstered Side Chair with Nailhead Trim by Canadel at Williams & Kay in the Anchorage, Mat-Su Valley, Eagle River, Alaska area. Product availability may vary. Contact us for the most current availability on this product. The Champlain - Custom Dining collection is a great option if you are looking for Rustic Transitional furniture in the Anchorage, Mat-Su Valley, Eagle River, Alaska area.